I often see fencing under bridges but I don't understand why. Is it to prevent livestock from escaping under the bridge? East of Napa Valley is Pope Valley, which isn't as famous but has many vineyards and many old arch bridges. 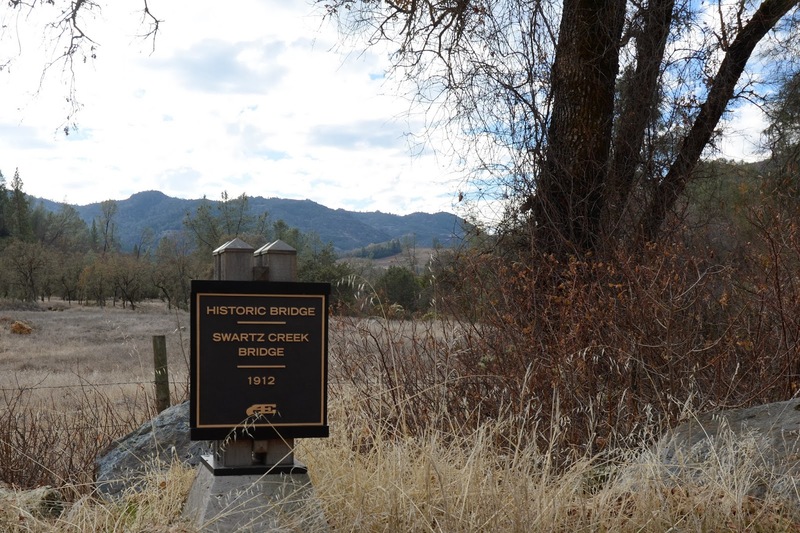 The first bridge we arrived at in Pope Valley was the Aetna Springs Road Bridge (21C0046) over Swartz Creek. It's a single span stone arch bridge that was built in 1912. The bridge is 54 ft long but only 15 ft wide. Napa County, California Bridges: Aetna Springs Road Bridge across Swartz Creek by Mark Yashinsky is licensed under a Creative Commons Attribution-NonCommercial-NoDerivatives 4.0 International License.